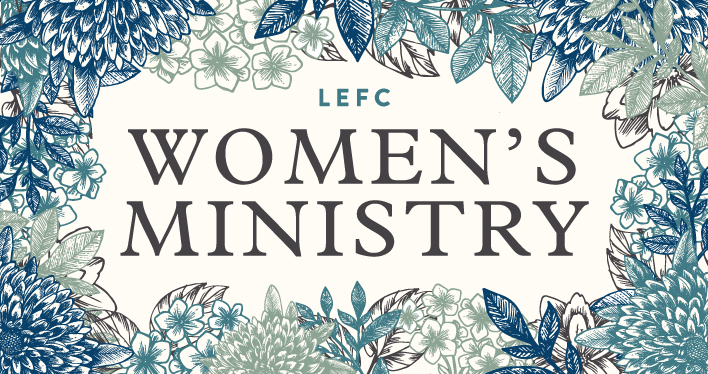 Women's Ministry at LEFC is a great place to connect with other women through fun events, building friendships and studying God's Word (the Bible) together! At LEFC, you will be welcomed with open arms. You'll meet some of the kindest, friendliest, most faith-filled and encouraging women in God's beautiful creation! Whether you are a younger woman beginning to find her way, a newly or not-so-newly married woman, a first-time mom, a long-time mom or desperately longing to be a mom, happily married or not-so-happily married, an empty-nester for the first time or for a long time, a widow, contentedly single, single and hopeful, or single again, or a vintage woman whose beauty has become more radiant over time . . when you're here, you're safe. You're free to be who you are and free to let God make you the woman He created you to be. There's always something fun happening around here! From our Thursday morning and evening Bible studies (we call it Women's Bible Fellowship, or just WBF for short), to our annual Fall Brunch, and other special events, consider yourself invited to anything and everything! We do know how to have fun, that is for sure! But, it's so much more than just having a good time. The heart of Women's Ministry at LEFC is Jesus Christ. Knowing Him. Loving Him.